Photos released by the Islamic State of Iraq and Syria (ISIS) of “war spoils” the radical Islamic group captured during its recent campaign near Mosul in Iraq have been making the rounds on social media. Pictures on Twitter show ISIS militants with U.S.-made Humvees and heavy weapons claimed to be commandeered when Iraqi military units fled battle. 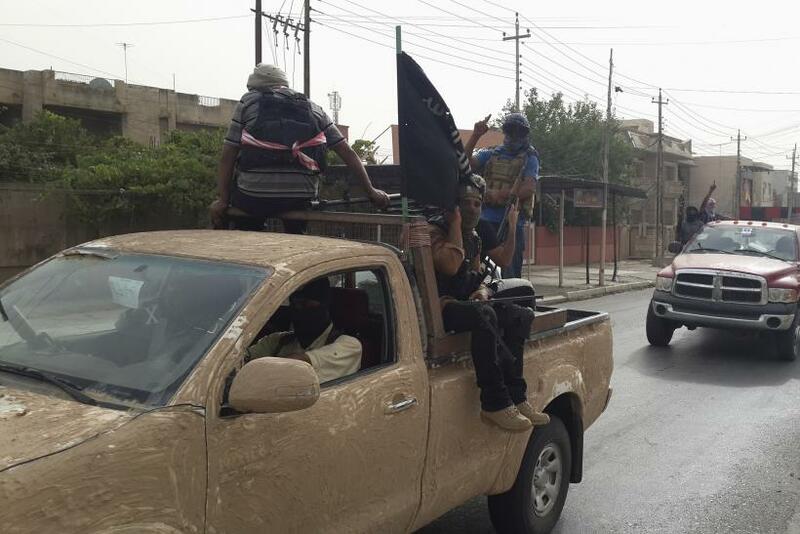 In only five days, ISIS took control of Iraq’s second largest city. They routed Iraqi military units and some reports claim Iraqi soldiers tried to escape the city by dressing up as civilians. Around 500,000 people fled the city, with 40,000 others fleeing Tikrit, a city about 100 miles north of Baghdad, when ISIS moved in. Iraq’s main Shiite cleric, Grand Ayatollah Ali al-Sistani called on Shiites across Iraq to volunteer to defend against ISIS and recruiting stations have been packed with volunteers. Iraqi army Shiite soldiers are seen being trucked to open areas where mass graves have been dug, then laid down and shot at point blank range. Jihad expert Aaron Zelin at the Washington Institute says 3,000 captured Sunni soldiers were pardoned and 1,700 Shiite soldiers were executed. ISIS also reportedly made off with up to $425 million from Mosul's banks.